I was itching to make another applecore quilt since I made my first project with the Go! cutter. So I prepared a FQ stack of 1930's prints and cut a strip about 11" X 22" ( Fat eighth ) and folded it accordian style and away I went. 50 some FQ's later I had quite a stack of 'waste'. However, I processed the 'waste' and and turned it into scrap strips that I may use on the back of the quilt. And a few other interesting pieces that I plan of making into a pillow or something. I have many grandious ideas....not sure I have the time. I am really happy to have just cut into this bundle though. This is the quilt top in progress. I decided on 9 cores by 11 cores. It will be a good sized baby quilt. Have you ever wanted to try the applecore but just haven't made the leap?? Well you're in luck! I have 99 extra applecores. seriously...I'm curious what other bloggers are drooling over! I'll chose a winner at random on Monday, September 6th. I love your apple core! Looks so great! This go! looks really like a very useful thing! Would love to win those pieces as I always wanted to do an applecore but always hesitated because of all that cutting! My favourite line at the moment is from french general: lumières de noel! I would love to win the apple cores. I think I have a ruler for this, somewhere. It looks so cool when they are together and I would love to win. Even if I don't, I think I'm inspired to dig it out and give it a try! That is so cute. We went through 3 bushels of apples here last year ... I think it would be great to make one for my daughter. I am really into mods right now especially frolic. i cant wait for its a hoot by momo it looks great! and urban circus! Love your project!! I have the applecore die for my studio cutter and have a stack of them that needs to be pieced... so don't enter my name in the drawing. I just wanted to say how much I love them. Your apple core quilt is beautiful! I love all the new Halloween fabrics that are out this year. When I first came across 30's prints I didn't think I would like them. Now that I have seen more projects made using them, I have fallen in love with the colors. yes, would love to do apple core quilt...hesitation because of all the manual cutting it would mean to me!! i am loving all things erin mcmorris right now...fell in love with her new line Weekends, which has caused me to revisit Park Slope and Wildwood and seriously lusting. My favorite right now is Prayer Flag by April Cornell. Your apple cores are so cheerful! 30's prints always make me smile. I love batik fabrics but these precut apple core ones would make a wonderful preemie quilt for the Neonatal Unit. Apple Cores - what a lovely giveaway! I would love to win some and make something for my mother in law who has apple trees! I am waiting for Oct. for the new Michael Miller line Honey Bee! Currenty fabric I love is Pure by Sweetwater. Love the cores. Right now I like Sweetwater. prints but here in Croatia it is very hard to get any. Vickie, this quilt is amazing!I have always wanted to try apple cores, but am yet to bite the bullet, so i would love a chance to win these, it would mean no more excuses!! Oh, I would love your apple cores! I have wanted to make one of these for quite some time! Oooh how fun! I have never tried an apple core quilt before. I always am up for something new! I love Frolic by Moda. Such pretty colors. Thanks for offering to give away your extras. Wow! Those apple cores look really cool. My favorite right now is Cherish Nature (I really want a quilt for our room) followed closely by Awesome. I LOVE the 1930s prints...ANY of them! And, I have always wanted to do an apple core quilt. So, I would LOVE to win this giveaway! Thanks so much for having it. I'm flipping over Fandango. I want the whole line (which never happens since I'm such a scrap fanatic). Fuitcake or Fandango, I can't decid.. I love the 30's apple cores. Would love,love,love them. I am leaning toward mod fabrics right now. I am also in love with anything Kaffe. Love your apple cores! And your pile of scraps! Great idea to process them into strips for the back! I love Pure and French General, but I think Sandy Gervais' Frolic is still my current favorite...just love the colors she uses. Pure is my favorite right now! Though the sneak peek of Sweetwater's upcoming Sunshine is just incredible too! Fruitcake! I have started my Christmas list and I love the Fruitcake line... I have never worked with the 30s fabrics and would love to do an apple core with them. I have always wanted to make an apple core quilt but can't see past the cutting out stage. I would love to win your leftover apple cores! My current favorite fabric line is Dream On by Urban Chiks for Moda. I love the freshness and lightness. It's a Hoot by momo has me drooling right now! I would LOVE to try the apple core. I've been admiring them from afar but haven't had the courage as of yet! I LOVE BLISS!! And, I'm curious to know if the curve adapter that Julie mentions on her blog would work with these apple cores...?? Would love to try an apple core quilt. My favourites right now are the kona solids and moda bliss. I really, really want to try Apple Cores (and I love that fabric). Right now I'm completely obsessed with Bliss by Bonnie and Camille. I just like to look at it. I'm really loving the upcoming Dr. Seuss line. I've tried to come up with something to make with it, but so far, no luck. What a GREAT giveaway! And I LOVE the fabric you've used. But...I have to admit I'm not good at keeping up with the latest fabric lines. Honestly my absolute FAVORITE way to find fabric is bargain shopping. Last night I scored at a local thrift store I'd never been to before and got like 8 different vintage prints for a couple dollars each! That's the kind of fabric I drool over!!! :) Thanks for an amazing giveaway! I can not wait for the Dr. Seuss line to become available. Would love to win your apple cores. They make a greatlooking quilt. Would love to do an apple core quilt especially one cut on a Go. Thirties fabrics have alway been one of my favorites. At the moment I am into Kaffe Fassett fabric. Have a great day and I love to read your blog. Apple Cores are my FAVORITE pattern! I have made a small topper using "Paper Pieces", pre cut shapes. My favorite lines are reproduction fabrics...Jo Morton, Barbara Brackman.....love the old look! Congrats on the apple core. Favorite fabric line: Annandale by Jo Morton in pink. (actually like all the color ways, but LOVE the pink). It isn't out yet, but I can't wait! I think Innocent Crush by Anna Marie Horner is really pretty! I also love your apple cores! Love the apple cores!! Right now I'm loving "Pure" but there are oh so many others!! love that apple core quilt!! i am loving the new bliss line. it is so cute!! Here in the UK we're a bit behind in fabric lines I think!!!! i love nicey jane by anna maria. i have never heard of apple core quilt before (where have i been) your quilt is lovely. Hello, love the apple core quilt! The colors are perfect for the design. Right now I'm waiting for that line of fabric (name?) that looks like vintage sheets. I think it comes out in Nov. Thanks for the give-away chance. The apple core in the 30's fabric looks awesome. Glad that you had to GO for all of those curves. Please add my name for a chance to win the blocks. Luv the 1930's prints! Check out Australian designer Saffron Craig's contemporary hand screen prints! - Wonderful color combinations! I love your apple core,look gorgeous! !I love moda fabrics. I do not have this particular die and would love to see how I like putting the block together! Recently I cut pieces for the Bountiful Baskets die and gave away several for others to try. I think this is a brilliant idea! Then I would know if I wanted o purchase it or not. Thanks for sharing!!! I really want some of Tula Pink's new Parisville line! It is fabulous! I'd love to enter to win the extra apple cores! Your quilt is wonderful. My favorite fabric that is on its way to me right now is FANDANGO by Kate Spain. My favorite line right now is the MODA Pure. I just had a baby boy, so I think thats why I am loving it so much! Just waiting for a sale. The downside of living in Canada is that fabric up here is so freakin expensive! Ugh! Oh, I want the apple cores but I don't have a favorite fabric line right now. Hmmmm, maybe Kona solids for the VERY PRESENT moment. I love BLISS . I have never used the apple core pieces but yours are so cute...I'd give it a try!! Fun Apple Cores... my favorite line right now is Fandango from Moda... Kate is brilliant and some of the fabrics are rxtremely drool worthy. Your quilt is beautiful!! I'm not so much into particular lines as I am bright colors. I love bright colors right now and would love to win your give away! These sure would be fun! I'm liking Dream On and Happy, and aren't those Blossoms from Amy Butler sweet? I'm drooling over Bliss fabric & already have 2 charm packs of it. The apple cores would be so fun to win & give a try at putting together. Your apple core quilt is just beautiful. My favorite line of fabric right now is Bliss. I have the quilt put together and just need to order yardage for the border and backing. I love 1930's fabrics, and what a treat to get the chance to win 99 cores, cross my fingers!!! I love the new Cosmo Cricket fabrics (scrapbook maker)! Thanks for a chance to win the lovely blocks! That quilt is beautiufl! right now I am in love with Moda's ''Dream On'' collection that is not yet released! It reminds me so much of my grandparents (who are both gone now). I cannot WAIT to get my hands on some!!! My second favorite are 30's prints! Love love love them! I have always oogled at the applecore quilts, but I am just not that good with scissors! I would love to be considered for your applecore parts! There is a blank wall at my grandparents cabin that my mom inherited - above the bed - that would be a great spot for an applecore 'headboard' quilt! Those are so cute...what a wonderful pillow they would make...a very nice give a way....we have an Apple Harvest fest in our town in Oct. I seriously need to get a set of the apple core dies...they're so cute! I'm thinking Bliss is my favorite right now...because it's available in yardage...yay! FUN!! Thanks for the chance! BLISS!! I have a project in mind for it. I can't wait to dig into it! I love your apple cores and have never tried one but looks fun. I don't have a fabric like I am interested in right now but am anxious to try Superior's Silk Thread. You "accidentally" cut too many or were just having too much fun?! Either way, thanks for "peeling" out the goods! I love Michael Miller's Vintage Trailers and Vintage Lawn Chairs. Can't get enough retro some days! My newest fav fabric is a line called "Domestic Divas" by Riley Blake. So retro & cool! I can't wait to get my hands on some Oliver & S! I have a little girl and not only is her new fabric adorable but it goes so well with her patterns! I am drooling over Fruitcake for Christmas!! LOVE IT!! I also love these apple cores!! Thanks for the chance to win some!! I would love to win some pieces too. These time my favorite fabric line is Pure from Moda. I love those blues and browns together. Apple cores would be fun to put together. Yours look so cute! One of my favorites are the Metro Cafe prints by Monaluna. I would love to win your leftover apple core die cuts! Loving the 30's colors a lot. My "drool" fabric line right now is Holiday Happy by Monica Solorio Snow (aka Happy Zombie blog), by Lecien. The Santa Gnomes make me squeal! I LOVE these applecores!@! SOOOOO adorable!! I love the new Dr. Suess line - the DOTS, too cute. Its just coming out. Then again there are so many great lines that I don't have a "favorite". I just love, fabric!!!! I really like "Vintage Sonnet" by Clothworks. Thanks for the chance to win! I've always wanted to make an apple core quilt. Winning those precut pieces would help a lot. Right now I'm seriously into Japanese prints. Love the apple core, to have them pre-cut would be a dream. So many great fabrics out now it is hard to pick a favorite..... Happy by Me and My Sister. I love your Apple Core quilt. Beautiful fabrics. And, I'd love to have your "leftover cores". LOL! The apple core quilt is really cute. Looks like loads of fun to do. I saw a preview on MakeLifeSweet's blog of the line they'll have coming out called Sunkissed. It is awesome! Those apple cores are too cute! 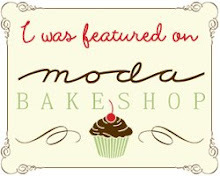 My favorite lines right now are Bliss from moda and hooty hoot from Riley Blake. There are so many beautiful new lines right now! Today I'm loving Fandango and can't wait until Modern Affair comes out next month. I'd love to try my hand at putting your apple cores together. I think the accu cut is great. I had a friend at my last quilt guild that cut for me and I did longarm work for her. I have not tried making anything with apple core blocks yet. It would be fun to try. I have two favorite fabric lines right now. PS I love you and Frolic by moda. Apple cores, what a great giveaway! I'm currently in love with Fandango, so fun! i love far far away 2! I wish I had the Go! Cutter because I have been drooling over your applecores since the first one. My favorite line right now is Punctuation right now by American Jane. I think it's the teacher in me but I love those letters. Love your quilt! Happy long weekend! Robert Kaufmans confections is a favorite of mine right now - love those cupcakes. I would love to win the apple cores. My favorite fabric line is Kona black and Kona solids to go with my scrap quilts. I'm one of those that hasn't made that first leap of faith into curves. I did get an apple core template for Christmas from one of my girls because it is one I want to make; but I dread cutting around all those curves and I don't have the 28mm cutter yet anyway. Would love your precut ones to start me off! Love the colors of Neptune and Pure..aquas and greens with just a hint of brown or coral. Wild Rose by Blackbird Designs. I love Civil War Fabrics, and 30's fabrics. Love the apple core!! I love your apple core blocks...beautiful fabrics. My favorite fabric line now is Bliss by Bonnie and Camille. How cute! I've never sewn curved seams. With these pieces being so very accurate this would be a great first curved seam project. I'd love to be entered into your generous give away. Your giveaway is so great! I have never tried an apple core quilt before but I would like to. I love Moda fabrics (with flowers). Is it fair to say mine? Oh yeah and there are now two not released yet. Sigh. Otherwise, I sure like Jennifer Paganelli's new line, Queen. I think Urban Circus by Laurie Wishburn is incredibly adorable! Thanks for being so generous with your extras! Wow, you really went to town on the apple cores didn't you? LOL. It would be great to have a head start on the cutting, thanks for the chance, a really fun giveaway. As for my favorite fabric collection just now...well, I've been drooling all over everything I see made with "Bliss". I haven't actually seen the line yet but I'm thinking it is something I really want to have! Thanks again and Good Luck to EVERYONE!!!! Right now I love the Wilmingon prints Studio Coordinate fabrics. I'm making a star quilt with them and have it on my design wall waiting to piece together. I have always wanted to do an applecore quilt I think they are adorable. I like anything and love scrappy quilts, but some apple cores would really be nice! my fave line right now is fandango! I am liking the new "sew and sew" fabric line and also the "what's cooking". I think it is supposed to be out this month! Sure would love to win some apple cores. Love the 30's prints. I love your apple cores! I'm also loving 30's prints right now and have just started collecting them, but for my fav line at the moment, it would have to be Bliss by Bonnie and Camille. So pretty!! Your apple cores make a fabulous baby quilt. I love 30's prints:) The fabric line that has lots of attraction at the moment is Maison de garance by French General. I think it is just hitting stores now. Thanks for the giveaway! I would love to try applecores! I would also like to get my hands on some more Recess by American Jane for Moda. If anyone out there has any (even scraps) of Recess, I would be very interested. Particularly in the orange, yellow and green colorways. And in the navy mini-dot. I would love to win your extra apple cores. I have always wanted to try to make one of these quilts but scared to. This would force me to try. Plus I collect 30's fabrics so this would be perfect. Thanks for the giveaway. I'm loving Erin McMorris' Park Slope! Love the 30's fabric and the apple core pattern. I have always liked the older patterns. My current fabric line that I want to get is by RJR - Contessa Floral, it came out a couple of months ago. Sunkissed by Sweetwater (due out later this year) is adorable. I would like to win the applecores as have several "wee ones" quilts to make before year's end. Thank you for sharing. 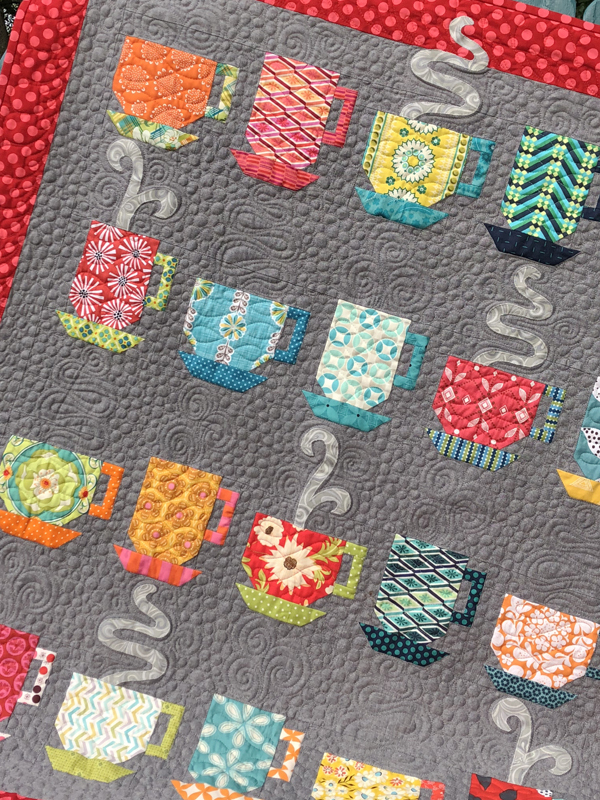 I really really want the Nottingham Village by Judie Rothermel for Marcus Fabrics. They are such pretty blue and brown repros! Love the apple cores! My favorite fabric is the 12 Days of Christmas. I am making tablerunners for all the teachers for Xmas and am getting started this weekend. Mmmm all those colors, yum!! My fav at the moment is fandango, but I am really hanging out to get my hands on some bliss!! Loving the apple cores. Right now I am smitten by anything by Moda French General. Oh my word that is the cutest quilt I have ever seen! My absolute favorite right now is Frolic, and also ANYTHING that has ANYTHING to do with fall!!! I'm really loving Pure by Sweetwater right now!! I actually won their soon-to-be released (January I think) Sunkissed line, which is lovely also!! It hasn't come out yet. Java by Deb Strain. I also love the 30's prints. Snippets is a favorite. Oh gosh, I'm always watching apple cores and I'm always wishing to make them, they look so cute all together, I'd love to win it, my fave fabric has to do with christmas, I'm always looking for it, no matter what time of the year we are! I think my most treasured fabrics are the ones that I hand dyed with my mom. I'm afraid I just don't keep up with the fabric trends these days, especially since nobody in town carries Moda! The applecores look like they would be fun to make up. My all-time favourite fabric line is Park Slope By Erin McMorris. I would love to win the apple core. 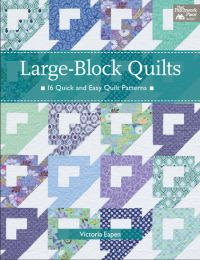 I have always wanted to try this quilt. I love Lumiere de Noel. I would love to win your applecore cuts. I've always wanted to try an applecore quilt but haven't tried yet. I love any of the 30's fabric lines and I like any of the Kauffman christmas (this week, anyway) thanks for doing a giveaway! I can't wait for Dream On! Love your 30's apple cores! I'm diggin' the Puntcuation by American Jane and Sandi Klop for Moda today. Tomorrow it will be another fabulous line! Love the apple core cuts. I love Fandango by Kate Spain for Moda. Your apple core quilt looks good. I've never made one, love to try it. Thanks for giving away your extras. Your apple core quilt is so cute. It would be a great baby quilt. I've wanted to make an apple core for quite awhile, but don't want to do all the cutting by hand. One of my favorite lines of fabric is fandango. Such wonderful colors. My favorite fabric line right now would probably have to be Debbie Mumm's, especially her Halloween line. I just finished making my husband an anniversary quilt out of four different fabrics from that line. Our anniversary is on Halloween. Apple core - Baltimore .... Chip and Dale? Showing my age? Great job using your GO! Would love to use your left overs :) :) My favorite "drool" fabric is anything made by Sweetwater ... right now its Pure. I just purchased some yardage to make an Amy Butler purse. 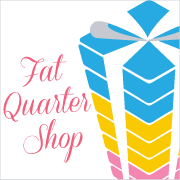 Enjoy your trip to the Fabric Shack and your visiting with friends. Thanks for the giveaway!! I'm currently in love with Bliss! Doesn't everyone need a little bliss in their lives?! Thanks for the chance! i don't have a favorite "line" per se ... I tend to go by how they feel in person. sure cotton is cotton .. sure ... but every cotton "feels" different ... you know? very cute quilt! my favorite line right now is the flower sugar line so cute! Love the apple cores!! My favorite fabric right now is Sweetwater, and I'm waiting for the new Honey Bee line by Michael Miller to come out. Thanks for the giveaway! I'm loving Pure and anything by Kate Spain or Laurie Wisbrun. Oh enter my name in your draw! Current favorite is: Love the French General , Lumières de Noel, or Deb Strains' cherish nature oh and Robert Kaufman's Picollo. Great giveaway! I love those shapes, but grimace at cutting them out. Fandango! I'm also enjoying anything by French General these days; they use just amazing reds. The apple core die cuts are very cool. Kim Diehl has a new fabric line out that I heart!! I would love to win the precut apple cores. It would be so fun to try them out. My favorite line of fabric right now is Bliss.. I just love the colors and patterns in this collection. Thanks for the chance to win!!! Hey...I don't have the apple core die and have been "dying" to get it! Love the colors too. I have been having fun with my Go! things. Right now I am testing the Winding Ways die. Check my blog and see. The apple cores are darling. My favorite fabric line for the last couple of years has been anything French General. But I do like repo and civil war, and 30's too :-) Thanks for entering me! It's funny how history repeats itself. Being a child in the late sixties and seventies, I was a Cat in the Hat nut! Now it's back, just in time for PBS to carry Cat in the Hat programming on Tuesday here in the Washington DC area. My 3 year old will be thrilled. And I'm thrilled over Cat in the Hat fabric. Yep, definately my fav (at the moment, subject to change without notice).